Orders usually arrive within 3 business days. In stock. Cancel any time. 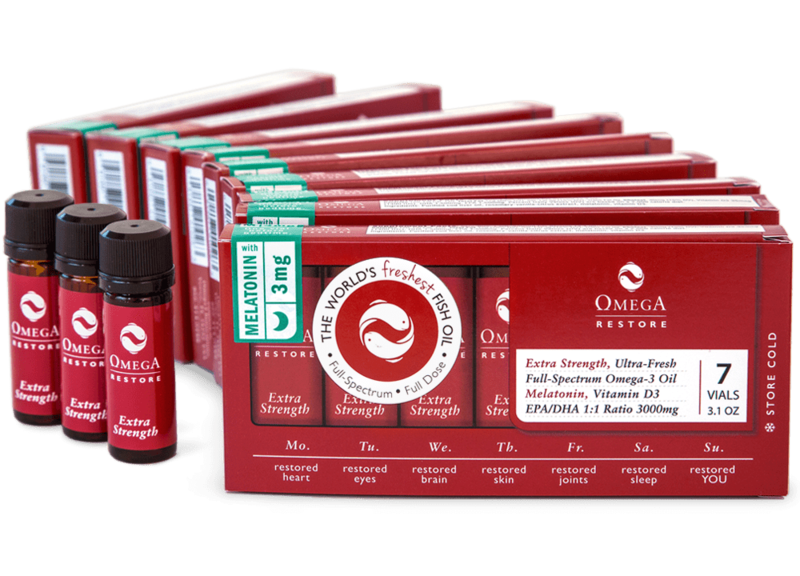 Save on Omega Restore when you enroll in our flexible subscription program and order 9 boxes at a time. At the time interval of your choosing, you will receive automatic shipments of the Omega Restore vials, ensuring you never have to miss a good night’s rest. To create a custom subscription with different doses of melatonin, please contact us at 866.414.0188. Take one vial before bedtime. Do not use if pregnant or lactating, or give to children, without conferring with your physician first. 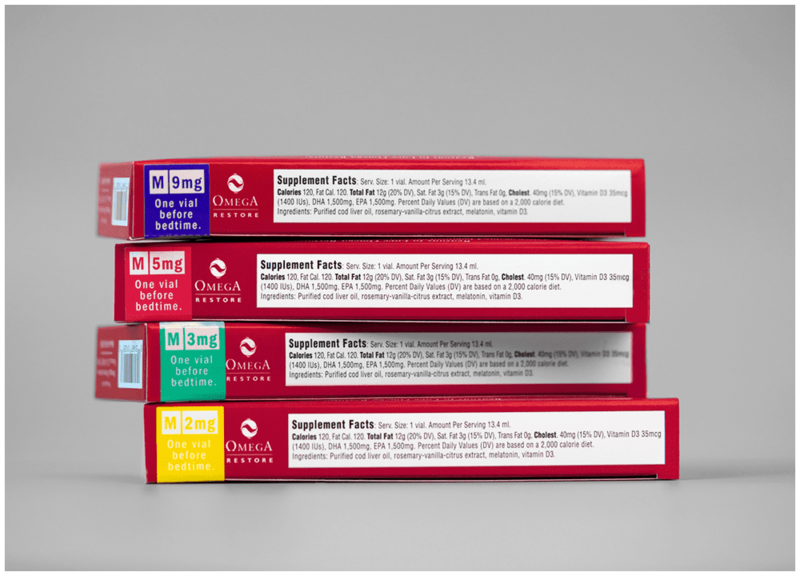 Omega Restore has a shelf life of up to 14 days at room temperature. For optimal freshness, however, store Omega Restore in the refrigerator. In the refrigerator, the vials keep fresh for up to 6 months. Depending on the temperature, Omega Restore may crystallize in the refrigerator. This is normal. If you prefer to avoid the crystallization, let your vial thaw on the kitchen counter for 10 minutes before drinking it. The oil will quickly liquify. Calories: 120. Ingredients: Purified cod liver oil, rosemary-vanilla-citrus extract, melatonin, vitamin D3. Each vial of Omega Restore brings you the powerful combination of omega-3s, vitamin D3, and melatonin for maximum health benefits. Studies show that these ingredients can potentiate each other. And we found that when we added melatonin directly into our fresh, full-spectrum Omega Cure oil, the results were more positive and different than taking melatonin alone or as a tablet. Melatonin is fundamental to our health. It plays a crucial role in our sleep cycle, how we age, and how our brain functions — yet, light pollution and aging often curtail our body’s natural production of this important nutrient. 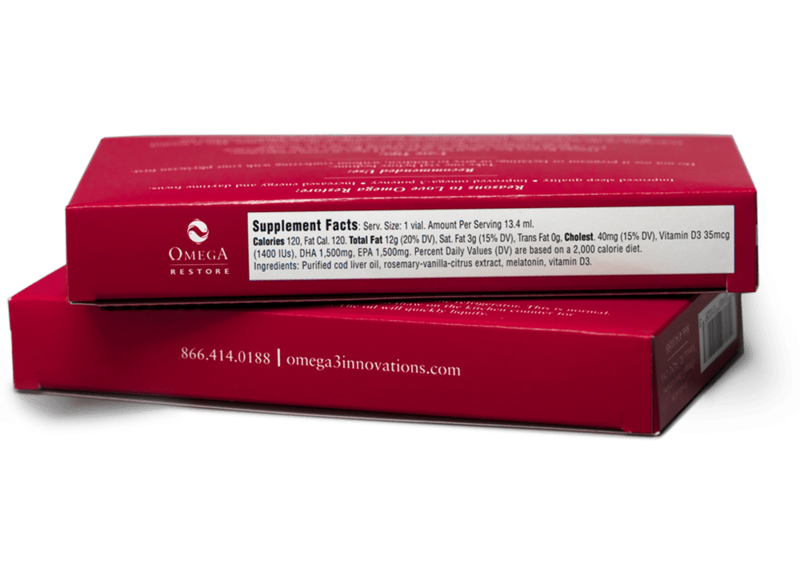 Customers who take Omega Restore report numerous benefits like more effective sleep, increased energy and focus during the day, and reduced stress. Omega Restore makes it easy to keep feeling well rested while you are traveling. TSA will allow you to pack up to 7 vials in your carry-on luggage. Or you can bring as many doses as you need in your checked bag. 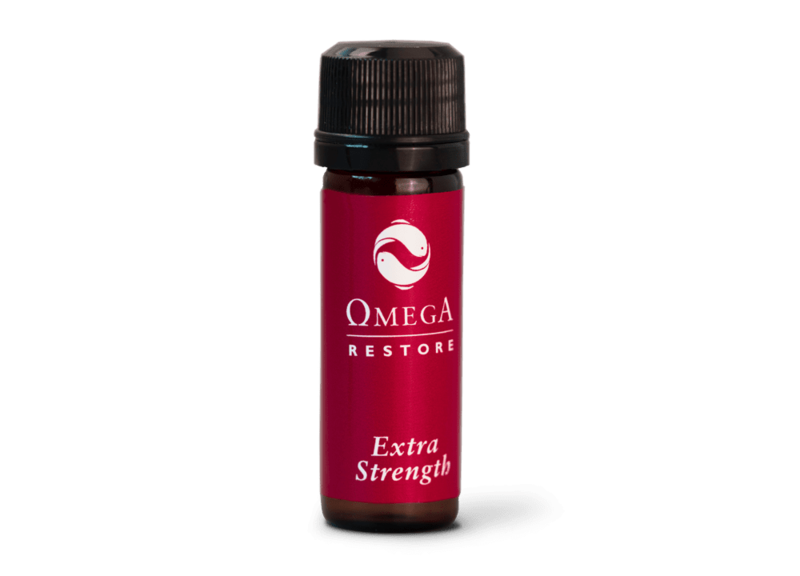 Omega Restore has a shelf life of 14 days at room temperature.